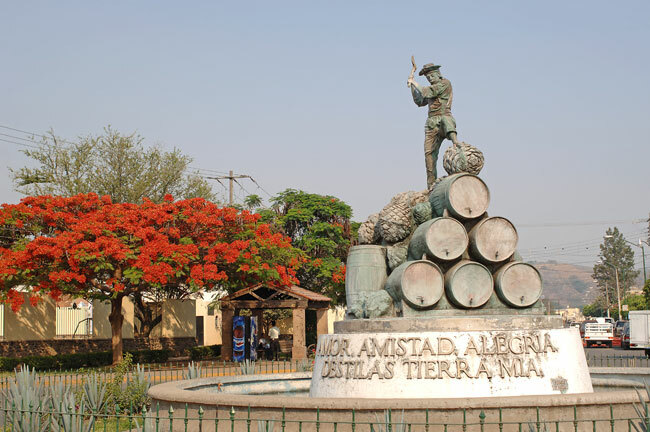 Melchor Jimenez Ornelas, an Authorized Bonded Guide, offers Guadalajara City Tours, Tequila Distillery Tours and custom tours to points of interest. I'd like to wish you a pleasant stay in Guadalajara and offer you the only non-complicated way to get to know our city - by allowing me to take care of your tours and trips. Tours are conducted in a late model air-conditioned passenger van, driven by an experienced and licensed guide. Tequila Distillery Tours - Let's go and learn more about the old and new processess of making the famous Mexican drink, Tequila. You can visit an Old Hacienda that has been producing Tequila for over 175 years. After you see the process learn to enjoy tequila without getting a headache. The most popular tours include Casa Herradura, La Cofradia and Mundo Cuervo. All of our tours are custom made for our clients. See more details below. Chapala Lake and Ajijic Tour - Get to see the Largest body of sweet water in Mexico, Jocotepec founded in 1529, San Juan Cosala Famous for its thermal water’s spas, Ajijic a retiree’s area, Chula Vista and Chapala Town. Guadalajara Cultural Tour - A very important tour to really know the city; it includes City Hall, old & new cathedrals (see picture below) Degollado theater, State capitol building, Cabañas Cultural institute with Orozco’s murals. 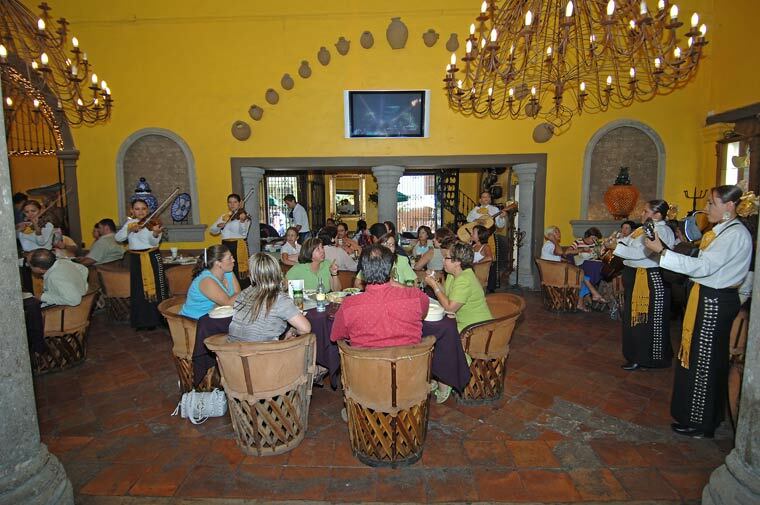 Guadalajara and Tlaquepaque Tour - Guadalajara’s city tour, residential area, downtown and Tlaquepaque handcrafts center. Jalisco’s High Lands - Let’s go to see the real Mexico that land where many movies were film during the golden season of the Mexican film industry, the land of the charros and beautiful women, towns that resemble have being stop on time, the town of Tepatitlan, San Miguel el Alto, and other beautiful towns. 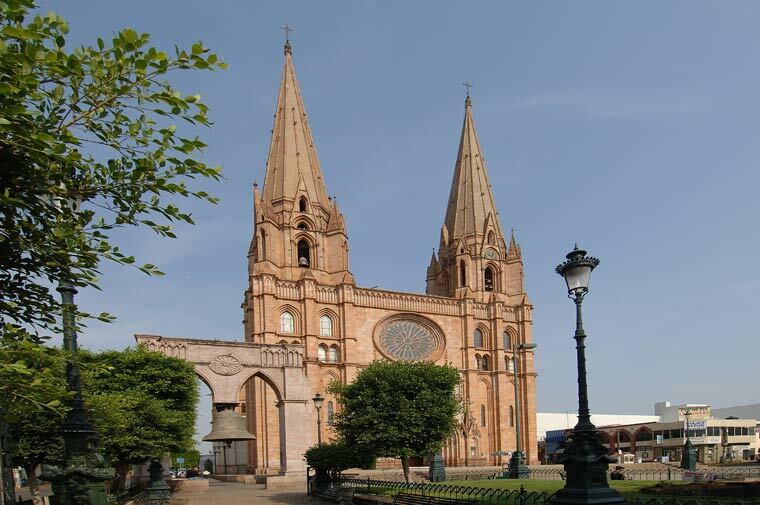 Mazamitla - Scenic tour that will take you to visit one of the most beautiful towns of the high Sierra of Jalisco, where you’ll admire the typical Mexican Arquitecture with red tile roofs & coble stone streets. Pyramids of Jalisco - Come and see the Pyramids of Guachimontones in Teuchitlan, they were built during the 1st and 2nd centuries A.D. The only circular pyramids of the world where people believe the ancestors of the Aztecs passed by. Tequila Distillery Tours - Let's go and learn more about the old and new processess of making the famous Mexican drink, Tequila. You can visit an Old Hacienda that has been producing Tequila for over 175 years. After you see the process learn to enjoy tequila without getting a headache. The most popular tours include Casa Herradura, La Cofradia and Mundo Cuervo. All of our tours are custom made for our clients. We begin when you want and go as long as you wish. There are some minimal requirements for each tour, We also offer tours to the places of your choice with a drop-off wherever you may like. Custom tours to other areas and points of interest are available. Tlaquepaque and Tonala Tour - Visit Tlaquepaque a souvenir’s town with lots of stores in very old mansions, and Tonala’s town for the art craft’s lover with its street market a tradition of more than five hundred years, clay, blown glass factories, wrought iron, fine furniture etc. Transportation all over Mexico - We also provide transportation to San Miguel de Allende, Guanajuato, Morelia, Manzanillo, Puerto Vallarta, Patzcuaro and other national monuments. Zapopan and San Andres fault canyon - Zapopan’s virgin shrine, a place that is visited by over 3 million people in one single day (October 12) every year, San Andres fault canyon (see picture below) and water fall, Huichol’s museum. Phone / Fax: USA 011 52 (333) 608-1768.